Finding the Italian wool suit of your dreams doesn't have to be something that fills you with dread. It can actually be a great experience. 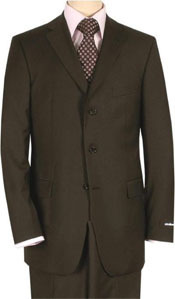 If you're shopping for mens Italian wool 2-3 button suits, there's no better place to do so than at MensItaly. 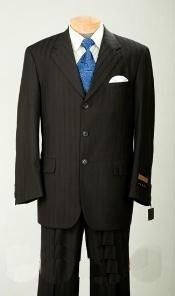 We offer shoppers many first-rate choices in suits that are equipped with two or three buttons. If you're a fan of wool that's amazingly fine, you'll adore our Italian suit offerings. They feature many small touches that make them memorable, sophisticated and stylish. It doesn't matter if you're searching for wool that's resistant to stains, wrinkles or anything else. Our online shop can help you find exactly what you need. We provide customers with many Italian wool suit choices that are suitable for social gatherings and work conferences alike. If you want to look like a million dollars while attending a big meeting for a brand new job, we'll blow you away with our selection of mens Italian wool 2-3 button suits. If you want to dress to impress for a big dinner with some of your closest friends, you'll be equally enamored by our suit selection here at MensItaly. 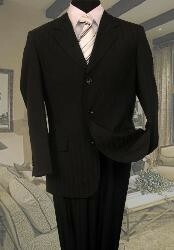 We offer two and three button suits in a large selection of colors. Examples of these colors are black, beige, tan, dark gray, navy blue, charcoal gray, light gray, chocolate brown and olive green. 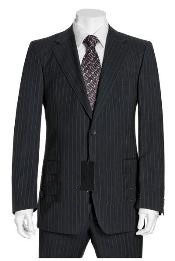 Some people appreciate our classic pinstripe suit offerings as well. We're an Internet shop that's proud to cater to all suit tastes. If you want to look traditional and sharp in black or navy blue, we have many incredible suit options that can help you achieve your wish. If you want to look striking and unforgettable in olive green, beige, light gray or anything else, our choices in suits will make you feel just as confident and enthusiastic. MensItaly specializes in suits that are appropriate for all different types of weather. We have wool suits that are suitable for both cold and warm temperatures. If you're interested in 100 percent wool suits that can make you feel great regardless of the current weather situation, you can count on us fully. Our priority here at MensItaly is to give our customers ample choices. 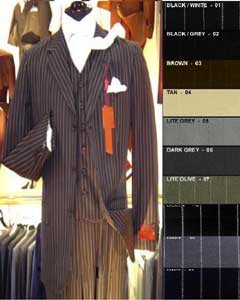 If you're a fan of wool suits that offer customized fits, we can present you with many options in unhemmed suits. If you're interested in wool suits that aren't vulnerable to unsightly stains and wrinkles, we can show you many choices that are made of stretch fabric. Stretch fabric is nice and soft and therefore isn't susceptible to unattractive and conspicuous crinkling. Other standout features that are often part of our suits include Italian cotton pockets, unfinished bottoms, notch lapel jackets and open inseams. 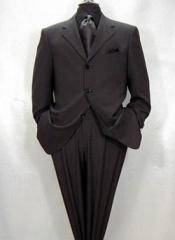 Unfinished bottoms can be great for people who wish to get their suits altered. These bottoms can simplify and streamline the altering process in a big way. If you're looking for a suit that's the epitome of polished and chic, take a look at our massive selection today!